Find Air Wick coupon at Smartsource.ca. Visit the coupon website, select the Air Wick coupon, and click the print coupons button. After you click the print coupon, you will have to download SmartSource’s coupon printing software. After you print the coupon, you can bring it into any supermarket that accepts printed coupons. 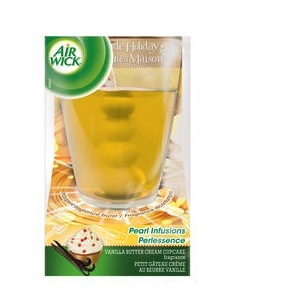 Air Wick coupon is an Air Freshener coupon to save $3 on any one (1) Air Wick Pearl Infusions or Colour Changing Candle. Air Wick Candles fill the room with luxurious fragrances, creating the perfect ambience for your home. With essential oils, Air Wick candles are the perfect way to brighten your home.